Lucky mascot ki roop mai. His talent helps lift the team. yeah' date=' figures of 13-0-105-0 in the World Cup really are impressive :hatsoff:[/quote'] It's hard when you don't play the whole wc against pointless match v bang and then come into the final. If Santh had bowled at death we would have had to chase much less. ZK gave away 35+ runs in his last 2 overs at death! Everyone got hit. Don't really on stats, watch :winky: He holds these medals unlike people like PK, Ishant e.t.c, they were not good enough or injured! It's hard when you don't play the whole wc against pointless match v bang and then come into the final. If Santh had bowled at death we would have had to chase much less. ZK gave away 35+ runs in his last 2 overs at death! Everyone got hit. Don't really on stats, watch :winky: He holds these medals unlike people like PK, Ishant e.t.c, they were not good enough or injured! Thats why there is a term "Lucky B***ards"
He also takes a lot of wickets in ODI, he is compulsive wicket taker in all forms of the game. If MS had treated him right and gave him a proper run, that discipline would have come too, and with that better economy. Nehra is a good ODI bowler and edged Sree out of selection for world cup. But Sree played at home in world cup final and said it was magical, not many cricketers will experience it, he is now a t20 and odi world cup winner. Sree would have been automatic pace spearhead by now if dhoni and co looked after him. Still I have faith the kerala fast bowler will get back in. Also don't rely on stats dude, only half the story. This unique talent's story cannot be described by stats, in his case the stats are more unreliable. You need to watch his moments of brilliance to realise talent wise he is one of our best ever pacers. He also takes a lot of wickets in ODI' date=' [b']he is compulsive wicket taker in all forms of the game. If MS had treated him right and gave him a proper run, that discipline would have come too, and with that better economy. what exactly is a "compulsive wicket taker" :hysterical::hysterical: 53 ODIs and 27 Tests is not a proper run according to you? In Test also he has an economy rate of 3.62 after 27 matches and 3.52 in 69 first class matches so this shows that given more chances he would have leaked even more runs. Nehra is a good ODI bowler and edged Sree out of selection for world cup. But Sree played at home in world cup final and said it was magical, not many cricketers will experience it, he is now a t20 and odi world cup winner. that was only because Nehra (who had taken 2 wickets against Pak in semis and given away very few runs) was unfortunately injured. Sree would have been automatic pace spearhead by now if dhoni and co looked after him. Still I have faith the kerala fast bowler will get in. he's not a baby!!! he's an international cricketer and if he cannot manage his temperament even after playing international cricket for 5-6 years then he should concentrate more on his dancing as he has a far better future there. what exactly is a "compulsive wicket taker" :hysterical::hysterical: 53 ODIs and 27 Tests is not a proper run according to you? In Test also he has an economy rate of 3.62 after 27 matches and 3.52 in 69 first class matches so this shows that given more chances he would have leaked even more runs. that was only because Nehra (who had taken 2 wickets against Pak in semis and given away very few runs) was unfortunately injured. he's not a baby!!! he's an international cricketer and if he cannot manage his temperament even after playing international cricket for 5-6 years then he should concentrate more on his dancing as he has a far better future there. He didn't play regularly for those tests and odi's, it was spread out. Also Dhoni continuly undermines him and publicly has insulted him several times. Captain's backing is key. If Sree had Ishant backing he would be much much better than Ishant of today. Sometimes you see something in a player and are sure of his talent. He didn't play regularly for those tests and odi's' date=' it was spread out. [b'] Also Dhoni continuly undermines him and publicly has insulted him several times. Captain's backing is key. If Sree had Ishant backing he would be much much better than Ishant of today. and what exactly is a captain supposed to do when a player continuously gets into altercations with opposition players and acts oddly on the field and continues to appeal again and again and gain and then on top of all that leaks runs!!! He has that "fire in his belly" like how Merv Hughes or Siddle do. Nothing wrong with aggression on the field, Santh is a competitive player and shouldn't change for anyone else. Dhoni probably just want sidha sadda kind of players. This is a ranbhoomi, it is about winning, not personal preference. One British Indian guy I spoke to here said it was because in that time only Sree was India's fast bowler and Dhoni didn't like keeping to him as it would highlight how crap a keeper he was. I don't think this is true but deffo MS brought down Sree. Also didn't give this wicket taker the best fields. Mahi knows this and Sree knows it too. Sree was India's fast bowler and Dhoni didn't like keeping to him as it would highlight how crap a keeper he was. 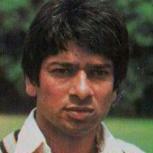 ]He didn't play regularly for those tests and odi's' date=' it was spread out[/b']. Also Dhoni continuly undermines him and publicly has insulted him several times. Captain's backing is key. If Sree had Ishant backing he would be much much better than Ishant of today. and all the other young bowlers around the world have always played consistently and have never been dropped, have they?? You're talking as if this joker is a special case in being dropped or having played his Tests/ODIs in a long time period. He has that "fire in his belly" like how Merv Hughes or Siddle do. Nothing wrong with aggression on the field' date= Santh is a competitive player and shouldn't change for anyone else. Dhoni probably just want sidha sadda kind of players. This is a ranbhoomi, it is about winning, not personal preference. One British Indian guy I spoke to here said it was because in that time only Sree was India's fast bowler and Dhoni didn't like keeping to him as it would highlight how crap a keeper he was. I don't think this is true but deffo MS brought down Sree. Also didn't give this wicket taker the best fields. Mahi knows this and Sree knows it too. Kerala Express aab koi bhi platform par kabhi bhi nahi aayegi. Yatriyo se nivedan hai ki woh Rajdhani Express par safar kare. All I can say is... I hope you're getting paid by Sreesanth to post here. Yes. He can bowl some very good balls, but he does it so rarely and so interspliced with crap that it would seem they come out by accident. He has that "fire in his belly" like how Merv Hughes or Siddle do. Nothing wrong with aggression on the field, Santh is a competitive player and shouldn't change for anyone else. Dhoni probably just want sidha sadda kind of players. This is a ranbhoomi, it is about winning, not personal preference. Yes. He can bowl some very good balls' date=' but he does it so rarely and so interspliced with crap that it would seem they come out by accident. [/quote'] If Sreesanth was playing in the current test, he would have gone on for 4-5 RPO, while Ishant gave 82 odd runs in 32 overs. Sreesanth averages more than Ishant in almost every series he has played in last 3 years. So how awful that makes Sreesanth then? But there were times when Santh ran though quality teams, but Dhoni sabotaged him, Ishant doesn't have that abillity. At most Ishant will be a 3rd seamer. Harbhajan wasnÃƒÃ• even discussed LOKENDRA PRATAP SAHI Mumbai: Harbhajan Singh, the second-most successful off-spinner in international cricket, wasnÃƒÃ• discussed when the national selectors picked the squad for the Test series in Australia. According to The TelegraphÃƒÃ” sources, neither captain Mahendra Singh Dhoni nor coach Duncan Fletcher asked for Harbhajan. That finished any chance he had of a comeback. The selectors, in any case, had no plans of recalling Harbhajan. Not now, at least. Harbhajan, who has 406 wickets in Test cricket and 259 in ODIs, hasnÃƒÃ• played for India after the Trent Bridge Test, which got over on August 1. As was tipped in these columns, only two spinners Pragyan Ojha and Ravichandran Ashwin (MoS in the Tests versus the West Indies) have been picked. AshwinÃƒÃ” stunning performance on debut has queered the pitch even more for Harbhajan. Besides 22 wickets in three Tests, the off-spinner, who used to open at the colts level, scripted a quality hundred at the Wankhede. Spearhead Zaheer Khan is there, but he will have to prove his match-fitness in the next two Ranji games featuring Mumbai. If he isnÃƒÃ• up to the mark, then Abhimanyu Mithun or Sreesanth could instead head to Australia. Officially, though, a ÃÃ„over hasnÃƒÃ• been decided upon. The only debate, during SaturdayÃƒÃ” meeting, was over the second ÃƒÃŒeeper. Eventually, largely for reasons of Ã…Ã„ontinuity, Wriddhiman Saha scored over Parthiv Patel. Ignoring Saha would have been most unfair. The squad has two uncapped players Rohit Sharma and Ajinkya Rahane. I thought Sreesanth is injured. He is injured so how can he be selected.Also he did okay in england considering he was coming back from a injury ,also we got o remember he did well in sa series before eng ,in tests his recent form has been average but atleast he has won us some matches which not many indian fast bowlers have done agianst top teams. When a Captain insults you in public, that is completely wrong. MS has done this several times. Another country board would have publicly reprimanded Dhoni in response. Sreesanth, the India seamer, has said he could be out of action for a further six to eight weeks as he continues his rehabilitation from a toe injury that has sidelined him during the ongoing Ranji season. The injury has ruled him out of contention for the four-Test series in Australia starting later this month. The national selectors meet on Monday to pick a replacement for the injured Praveen Kumar. Sreesanth said he had decided against surgery on the left toe. "I did a bit of ayurvedic treatment and it (the pain) has really come down," Sreesanth told ESPNcricinfo. "I was advised surgery but didn't go for it because the last time I did ayurvedic treatment, for a labrum tear on my shoulder, it really helped and I never had to go for surgery. I have consulted the same doctor. The muscles get stronger with physiotherapy. I will start training in Bangalore from December 12." The Test series begins on December 26 at the MCG and finishes on January 28. Sreesanth is hopeful of being available for the one-day tri-series, also featuring Sri Lanka, starting in February. "I will be out for six to eight weeks. I don't think I'll be fit till the end of the Test series," Sreesanth said. "Hopefully for the one-dayers I will be fit for selection." Sreesanth played three Tests in England earlier this year, but failed to impress taking eight wickets at 61.62. He played in Kerala's first match of the Ranji season, against Vidarbha in Nagpur, taking 1 for 119, before getting injured. He wasn't chosen when the selectors picked the team for Australia, but the injury to Praveen ahead of the ongoing one-day series against West Indies, has given an opportunity for any one of India's reserve seamers to make the trip. "I will be out for six to eight weeks. I don't think I'll be fit till the end of the Test series," Sreesanth said. "Hopefully for the one-dayers I will be fit for selection." Does he really believe he will be selected for ODIs after his horror world cup. FFS he has the worst economy rate of any bowler in ODI history. Since his initial period of success, the story of Sreesanth's career has been like that, play a series, miss the next two with injuries. With this recent injury lay off, it all but ends his international career.